Origins Jewelry Designs are made from raw crystals and semi-precious stones. I specialize in creating beautifully unique handmade necklaces and earrings. From the more simple and subtle designs, to statement pieces, Origins Designs will appeal to many. These unique jewelry pieces will bring beauty, art and creativity to your life. The stones used to create these pieces can even have a meaning of their own. 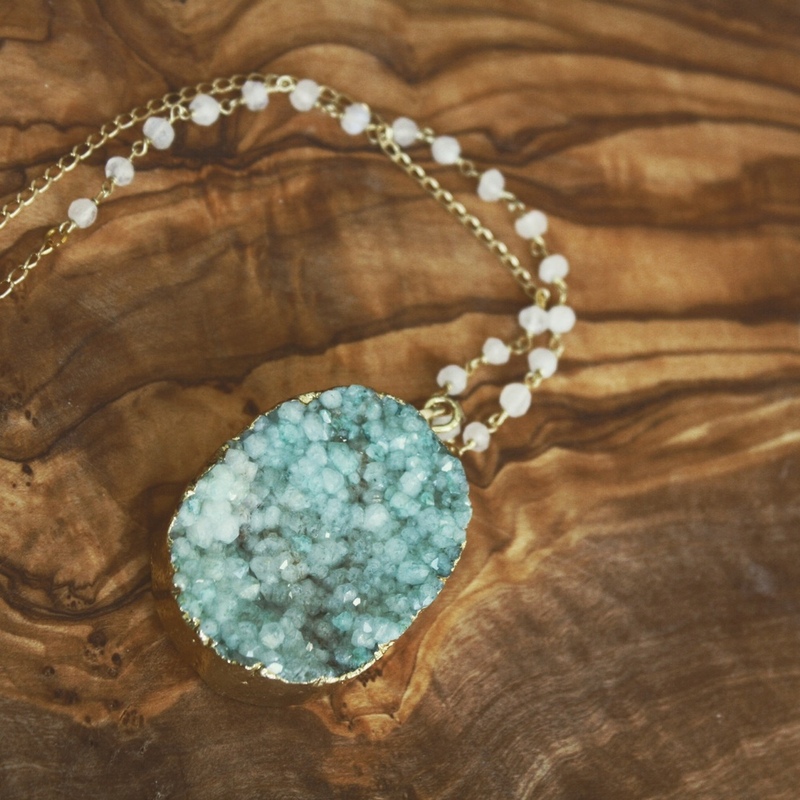 I use my connection with nature, art and wellness – three essential elements in my life – to bring this unique and meaningful jewelry to life.